The 3rd edition of the "Gourmet Waters" International Contest organized by AVPA (Agency for the Valorization of Agricultural Products) found its conclusion on Monday, April 1st, during an official ceremony held in the presence of the diplomatic corps and the Jury members. Mineral waters producers from all over the world (20 countries!) 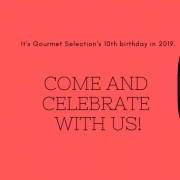 were meeting on Monday, April 1st, 2019 in the salons of the great cookery school FERRANDI-Paris, one of the temples of European gastronomy for the award ceremony of the 3rd "Gourmet Waters" International Contest AVPA-Paris 2019 . Very expected by bottlers, by professionals from the catering and distribution sector, the event reserved, as every year, its lot of surprises and confirmations. In front of an audience of diplomats, great chefs, taste professionals and distributors, the lucky winners, succeeded on stage. "A strong time in the lives of these entrepreneurs who would not miss for anything in the world, this event which became in a 3 years’ time, one of the flagship events of the waters planet and a sign of encouragement and recognition for the medalists." commented Michel Bontemps, Contest Director. Divided into 6 different waters categories (3 still waters and 3 sparkling waters), these outstanding 70 waters had to fight firm to demonstrate their qualities to juries of experts, foodies, specialists of taste and chefs (including those of the Culinary Academy of France). AVPA's recognized knowledge in organizing taste-based competitions (coffees, oils and teas) was able to meet the expectations of consumers for "Gourmet Waters". "Beyond its formidable success, this 3rd Edition of the "Gourmet Waters" International Contest AVPA-Paris 2019 demonstrated the gastronomic potential of water when it becomes Gourmet and thus it is the whole chain of bottled waters which is honored” said in conclusion of the ceremony Philippe Juglar, President of AVPA. In light still waters, the Colombian HONTANAR is in Gold, an astonishing performance for a first participation, in front of the Danish water INLAND ICE in Silver, followed by a small homogeneous group in Bronze composed of the Swedish water ARE, the Franco-Italian water MONT BLANC (Monte Bianco), the American water ENGLISH MOUNTAIN and the Corsican water ZILIA. In balanced still waters, the Greek water THEONI imposed itself in Gold, in front of CHANTEMERLE from Ardèche in Silver, the best French water of its class, exæquo with the Spanish water AQUADEUS, which precedes the Italian ACQUA PRADIS and another Spanish water AGUA de BENASSAL who shares the Bronze. In still watersof character, Greece is again in the spotlight with its water ATHOS, subscribed to Gold for 3 years, which thus confirms all the good that gourmets think of it, but which has to share the first step of the podium with its countryman ZEUS OF OLYMPUS. As in 2018, the French water VELLEMINFROY from Franche-Comté is in Silver exæquo with SAINT AMAND from the North of France just ahead of THONON from Haute-Savoie and the Russian MOSCOW Levitated, both in Bronze. In light sparkling waters, a new surprise in this very popular category among lovers of delicate waters, with the victory of the Romanian water AZUGA that harvests Gold for its first participation and which overpasses the elegant Swiss water SEMBRANCHER already in Silver in 2018, exæquo with French water VENTADOUR from Ardèche which thus offers itself a beautiful birthday present for its 150 years, in front of the Spanish water SOUSAS from Galicia and the Italian water Maxim's, both in Bronze. In balanced sparkling waters, Romania presents AQUA CARPATICA, which obtains the Gold shortly ahead of the Spanish water 22 ARTESIENNE (ex-Peñaclara) and the French water VALS. The French water SAINT GERON from Haute-Loire in Bronze completes the picture of a very challenged category. In sparkling watersof character, Auvergne is in the spotlight with CHATELDON who picks up the Gold and imposes itself in front of another French water VERNIERE from Haut-Languedoc which does not have to blush of its nice Silver Medal, exæquo with the Portuguese water PEDRAS SALGADAS of Chavez who heads its cousin water VIDAGO (only a few kilometers separate them) in Bronze, like the French water ST-YORRE, the other water from Auvergne, which we does no longer need to be introduced. “Special Jury Award” to the Canary water BREEZE, water from the clouds, for its originality, an extraordinary technological gamble and a unique taste. A very good idea to report on "a water that makes talk"! “Uncategorized Award” to the Italian water ACQUA SANTA DI TERME DI CHIANCIANO for its extraordinary minerality. “Design Award” to the Portuguese water HEALSI for its superb bottle.